Isabelle Dutoit shows worlds in a magical crepuscular light that elapses all borders. The shadowy paintings are like dreams continuously creating new life by interweaving things and reality. Everything flows, expands and grows. Forms and figures are intertwined and create a highly active interlaced ornament full of energetic streams and unexpected encounters. 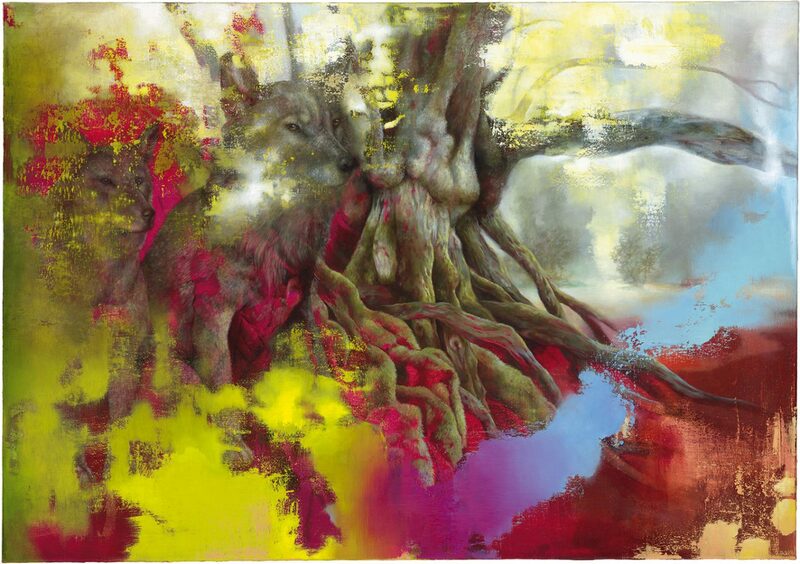 The untamed and shoreless nature pulsating of vital power is often a topic in Isabelle Dutoit’s paintings. She works with the motive of the jungle and presents it as a world in a state of uncertainty. It is detached from gravity. With its shifting swirls it appears as an unknown terrain under water offering mysterious ambiguities. The climbing plants in “Jungle“, painted in 2014, remind of swarming animals. On and off animals like monkeys, hidden in the half shade, show up between branches and lianas. They seem to reflect thoughtfully about the world. 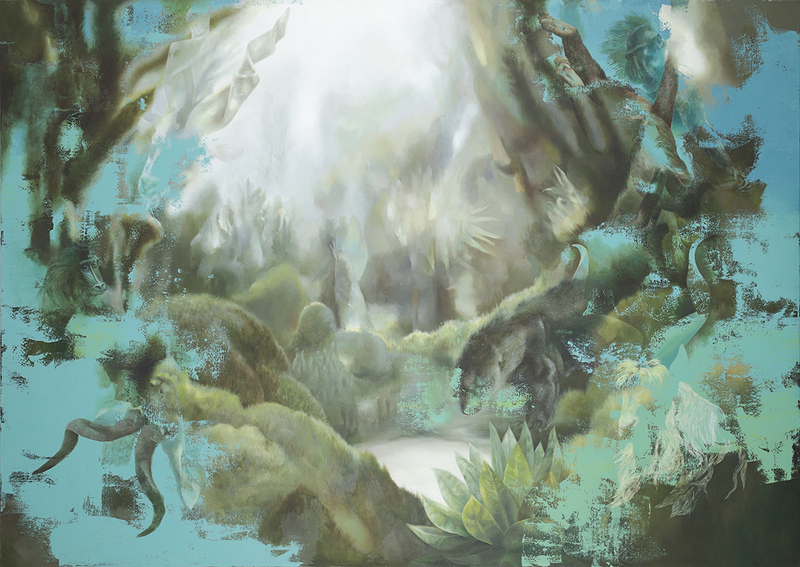 The painting “Moss“ shows a miniature jungle. 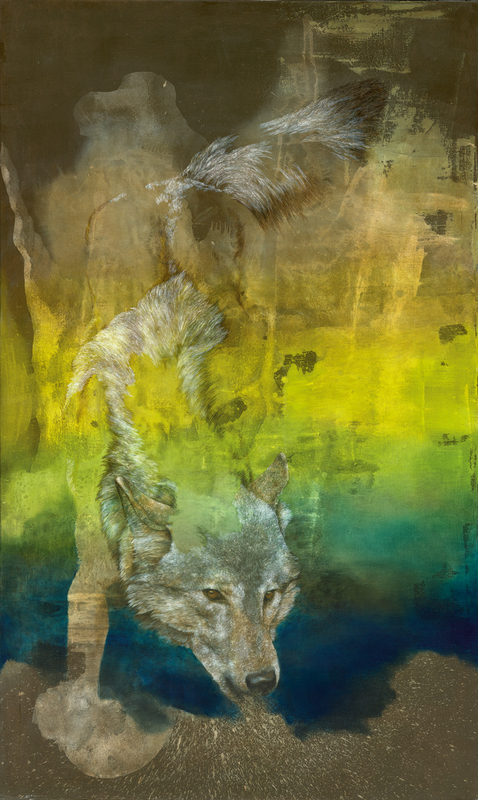 Isabelle Dutoit presents a human face and a wolf’s head between mossy streaks emerging from an unknown space. 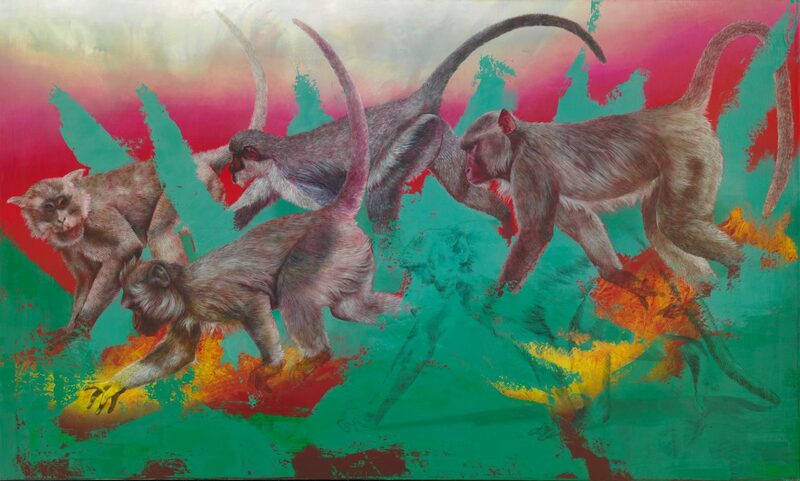 The jungle of Isabelle Dutoit can be understood as a vital allegory of the creation of the world. In a theatrical light setting creatures continuously develop from energy embodied color ribbons. The forest appears like a well of life and like a magical melting pot. Isabelle Dutoit combines this gaze at the genesis of nature. It is like God’s workshop with unexpected and astounding reflections on painting. 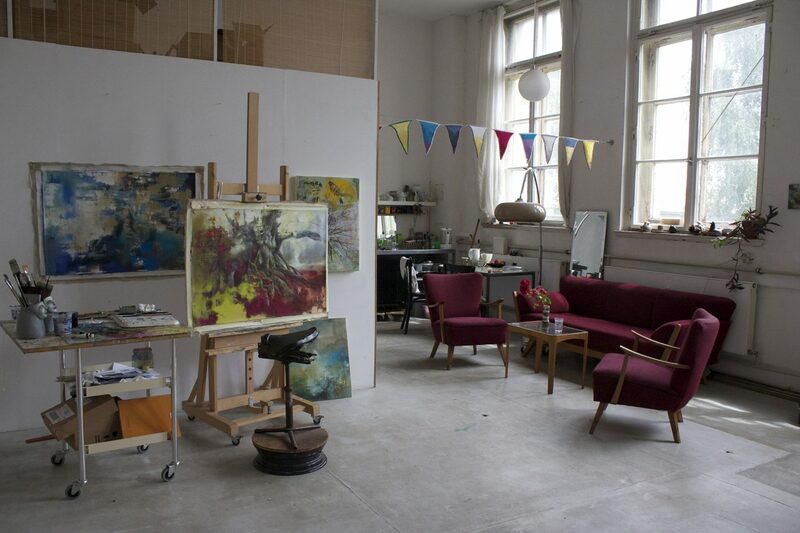 In her painting “Tiger“ from 2013 she sets different painting methods against each other. In the centre is a strange vegetation with mosses, grass and single erected trunks. These plants are depicted in a way as if the artist used a diffuser scrim. It reminds of the famous “sfumato” technique, the art of continuous transitions without hard outlines, going back to Leonardo da Vinci. Naturalistic tigers are depicted and seem to rear up in a fight next to diffused and prescinded forms. At the same time the painting features drops and clouds in an abstract colour pattern in turquoise and white. These multiple perforated patterns remind of the deposition of defective development in analogue photography. They break the illusion of the picture, oppose to a probable space and are blank spaces in the perspective of the painting. 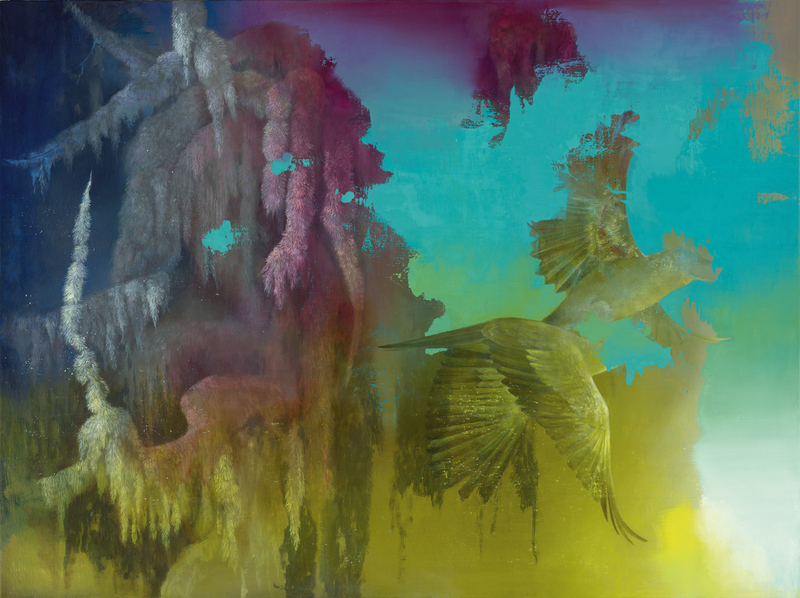 Isabelle Dutoit develops patterns of pictures with the shimmering animals feeding from colours. Franz Marc used these patterns in his world famous crystalline depictions of animals. 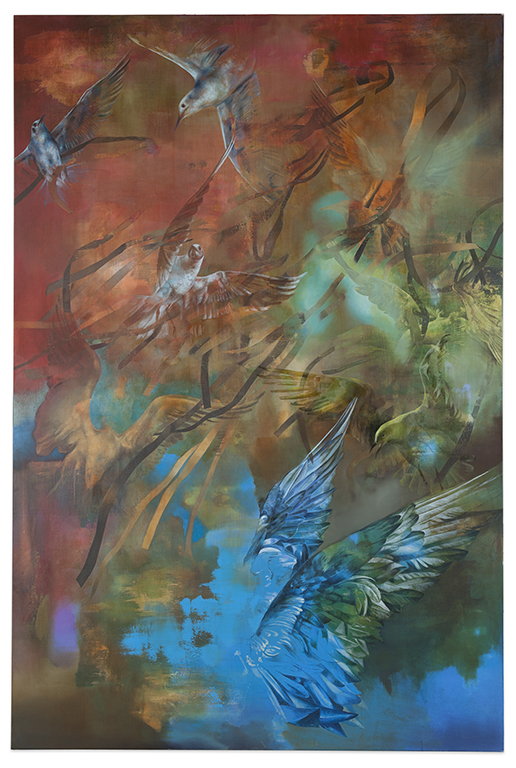 Marc shows the creatures of nature as carriers of pure colours representing vitality. 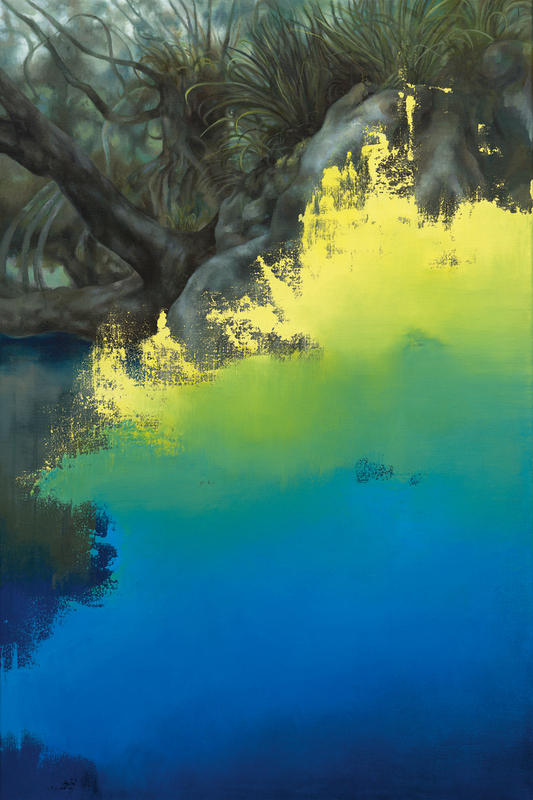 Isabelle Dutoit concretizes this transfer of colour and energy by the symbolic drink from the coloured pond. 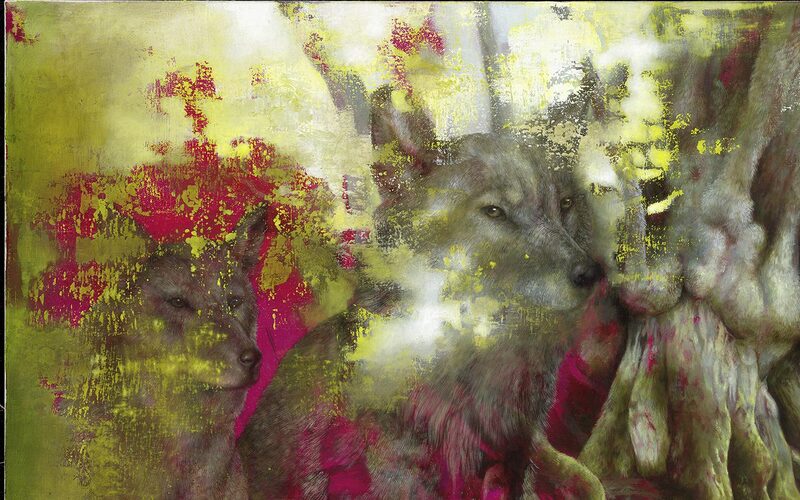 Besides predators like the wolf and the tiger the goat is a leitmotif in Isabelle’s Dutoit’s nature paintings. The artist plays with known painting traditions and studied associations. 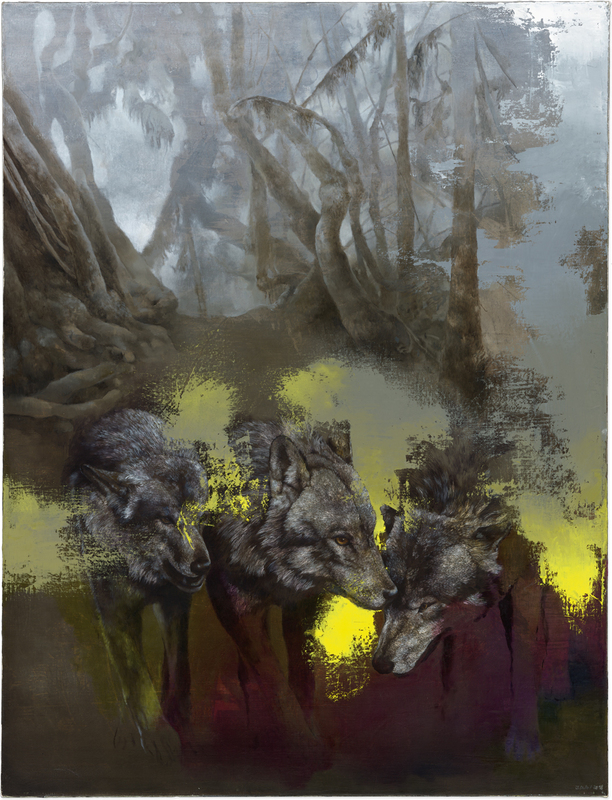 The scene in the painting “Wolf and four goats” from 2014 reminds of the traditional depiction of the Garden Eden known since the Middle Ages. Predator and potential prey live peacefully next to each other. A closer look unveils breaks in the scene. There is no real encounter between wolf and goats because all the animals are not fully present. The wolf is not completely painted. His body ends as a bundle of graphic codes at the bottom of the painting. The claim of an illusionary and probable depiction is undermined. The goat codes appear as ghostly schemes and like floating visions. They present the Athanor of art, which produces fantastic visions. At the same it reveals them as flighty dreams feinting the senses. That art creates an own truth and lives from the dialogue between foreign domains and the perforation of its own picture. Isabelle Dutoit shows this in her depictions of lambent bunches and swirls of human hands. These extremities unfold a bizarre life of their own and develop an amazing symbiosis. They are connected inseparably with animals and plants. These extremities are next to lions and goats and interweaved in furs or are parts of roots or branches. This combination of the organic makes the hands unreal and turns them into elements of a fantastic dream. One could interpret Isabelle Dutoit’s hand motives as a flighty vision of a partially comprehensible human being. This is the reason why the hands appear next to the goats, which are themselves immaterial dream creatures. The profane domesticated animal turns into the carrier of reflections on the human enlightenment and self-knowledge. 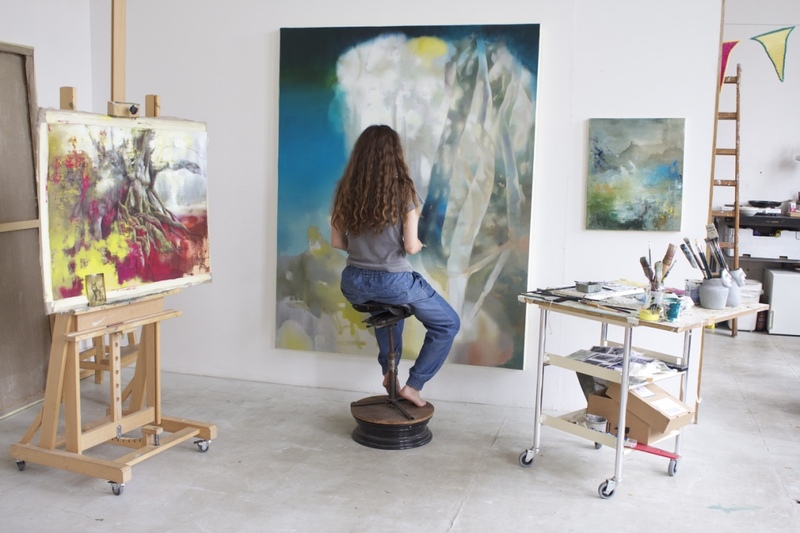 Isabelle Dutoit creates with the aid of contemporary art a new and complex fable about the base items of thinking and the labyrinth of the world. The exhibition has the melodious name “Girgentana”. The picture fables and the encyclopedia confirm this: The magical word means house goat.